My Little Pony Arena » Forums » TCB » For Trade » G1: My Dutch, German, UK & US trades! Forums » TCB » For Trade » G1: My Dutch, German, UK & US trades! G1: My Dutch, German, UK & US trades! Posted: 0 Post subject: G1: My Dutch, German, UK & US trades! WHAT I HAVE TO TRADE AT THE MOMENT! In case of interest, please ask pics. Click my signature link to see my wishlist! 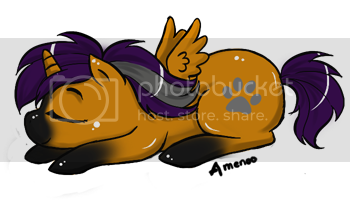 If you got non of my wishlist, i'ts also possible to buy a pony from me. 1 German version of Baby Moondancer (symbol without glitter), with spot on neck, possible cancer? ? 1 US Brilliant Blossom, in nice condition. ? 1 US Ponyfriend, Kangaroo from baby Pockets in resonable condition. ? Posted: 0 Post subject: Re: G1: My Dutch, German, UK & US trades! I NEED to PM you! little edit: all Dutchies (except 1 Rabbitpony) currently on hold for potential buyers/traders. I put the wrong daddy name; it is not Daddy Apple Delight, but Daddy Meadowsweet (poor condition) that i have for trade/sale. EDITED WITH SOME PRICING IF YOU CANT TRADE! OPEN FOR OFFERS ON NOT PRICED ITEMS! She's in cleaning progress right now. Follow this tread if interested to see when she's up for sale/trade!